2016 Indie Music Channel Awards - Les Fradkin gets 14 Nominations! 1 Video AND 2016 Album of the Year for his latest release "Mr. Midi Guitar". "I Want You" makes the Amazon Charts! I've just made the amazon charts with The Beatles tune "I Want You (She's So Heavy)" Download this astonishing new arrangement and help me push this to the Top!!! New solo Beatles Instrumental CD!!!! Available soon at Amazon.com and other fine stores! We have lift off to the 2nd Annual Indie Music Channel Awards April 28th 2013! I've been Nominated for Best Classical Artist of 2013 for my song "Lift Off". A unique moment for Classical Crossover, Rock AND Electronic Music. Lift Off features my brand new "discard the chromatic scale" tuning, using the Starr Labs Ztar to inaugurate FUTURISTIC musical performance! I will be heading to Hollywood, California to attend the awards pre-party on April 27 and the awards ceremony on Sunday April 28 taking place at the House of Blues Foundation Room in West Hollywood, Los Angeles to celebrate the 2nd Annual Indie Music Channel Awards! On Sunday April 28, 2013 HOB Foundation Room: Red Carpet Arrivals at 6PM. Awards Show at 7PM. And the "After Party"at 8PM. Thank you all for your kindness & support! See you there!!!!!!!!!!!!!!!!!!!! Been doing a project locally that brings my Roland VG-8EX and GR-1 setup back into action. Also seeing action is my Fender Jimmie Vaughn Stratocaster with Roland GK-Kit Internal Pickup. This is lots of fun and presents new challenges with old familar gear. I've had it with mega corporations who advertise their products and services on Pirate websites which hawk illegal bootleg copies of my music for profit without a license or offering to pay me a dime for their theft. I've had it with endless DMCA takedown requests only to be greeted days later with a repeat of the same offenses in the name of Technological progress. And as for Emily, the DJ, perhaps, if she keeps up her "I deserve music for free" attitude, she'll wake up in a world one day with NO MUSIC, because, by then, no creator will have the financial incentive to create. Keep it up Corporate America. You're destroying the very economic base which put you where you are. One day, perhaps, you'll wake up and realize that you, too, are "Obsolete". This was a very successful show for myself as well as over 100 fans who attended the 2nd Anniversary of the River Canyon in Bailey, CO on the evening of May 19, 2012. The new arrangements of Beatles songs from "Ticket To A Remix Universe" were very warmly received. It seems that everyone is a Beatles fan. The highlight of the evening as far as audience response were "Lift Off" and "Joy Of Man's Desiring" which got a huge response of recognition. Presented with something new and "out of the box", this audience was engaged and "present". MacBook Laptop running Ableton Live 8.3 with Propellerhead Reason 6. Soft synths for this show included Native Instruments Kore 2, Reaktor, Arturia Moog Modular V2.5, the MOTU Symphonic Instrument and Reason's Thor, Malstrom and Subtractor. Amplification was a Roland KC350. As for the River Canyon Gallery, they provided a successful celebration of their second Anniversary and sold many many works of art. Director Ellen Campa was a gracious hostess and MC and all were thrilled with the turnout. Busy recording a new Instrumental CD. Stay tuned! Les Fradkin now featured on the Starr Labs Starr Log Blog! Canon In D is #9 on the Amazon Japan Charts today! Let's get it to #1!!!! It's Antonio Vivaldi's birthday today! And what better way to celebrate than to listen to Les Fradkin's Vivaldi interpretations on his "Baroque Rocks! CD. 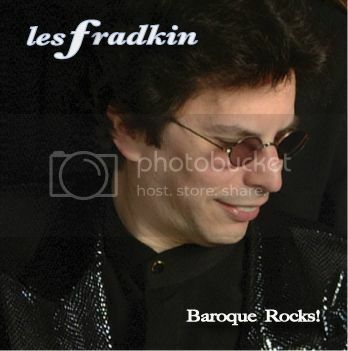 LES FRADKIN- "Baroque Rocks!" Les' CD which combines the sensibility of Baroque music with the drive of rock! Les Fradkin appears in a News Story Feature on the blog/News Feed called Chart Attack! such as theGuitar Synthesizer, Mellotron and Rickenbacker 12 string guitar. "Canon In D (Canon Rock for Ztar)". A brand new self composed melody on top of Johan Pachelbel's world famous "Canon In D"
Full Version of "Canon In D" available on Les Fradkin - "Baroque Rocks" at Apple iTunes! Canon In D from "Baroque Rocks!" is selling at Apple iTunes! A unique new arrangement....... Canon Rocks!!! Les Fradkin announces the release of his new EP: "Together for The World"
3 stirring themes for bringing the World together. The featured theme song of Artists for America - a grass roots "Organizing for America" Campaign for 2010. "Together" is featured on the Hart Radiothon presented by John David Hart. "Together", featuring guest harmony vocals from RRO Entertainment artist Amber Gomez (formerly of Venus In Bluejeans), offers a potent message for today: "Together, we'll all be one one day". You'll be singing along with this "Give Peace A Chance" and "We Are The World" of the 21st Century. This track features Les on Lead Vocals, Rickenbacker 12 string Guitar, Mellotron and Ztar Orchestrations-new for this special wide stereo single mix version. The inventor of Rock Opera, Mark Wirtz, declares: "Bloody brilliant!" "The Rebirth Of Hope"- the first of two instrumentals on this special EP, features a very emotional theme. Les features on Hammond Organ, lead guitar and Starr Labs Ztar Orchestrations. "Anthem For All Nations" is a Ztar featured instrumental which was inspired by a Georg Handel Minuet from his Concerto Grosso 6 Opus Number 5. Les' treatment of this piece, which heavily features his Starr Labs Ztar, has been described by Malcolm Campbell: "This is the closing movement of Op.6 No.5, a typically elegant minuet dazzlingly transformed into an anthem of truly Handelian majesty (note the striking evocation of an ethereal choir from 2:45)." Campbell continues: "Les deploys four Mellotron dubs to create an awesomely ample soundstage recalling the huge musical resources mustered by the maestro himself in the anthems he composed for the wonderfully reverberant acoustics of Westminster Abbey. Full of clever touches, it constantly surprises, and furnishes an object lesson in the skilful use of modern technology to create an illusion of large-scale musical forces — a sleight of hand that brilliantly re-interprets shining compositions sourced from what an eminent writer on the period has termed ‘a fascinating cast of musical magicians'." "Anthem" conjures up a peaceful but stirring feeling... "Together for The World". I've got a new CD which will be released this month. This is available NOW! Features covers of songs by guitarists/groups such as Jimmy Page (Led Zeppelin), Jeff Beck, Eric Clapton, Dave Edmunds (Love Sculpture), Robert Fripp (King Crimson), Steve Howe (Yes), Ritchie Blackmore (Deep Purple), Tom Scholz (Boston), Jimi Hendrix, and Pete Townshend (The Who). many times in the past on most of my recordings. I've strived to take MIDI Guitar to the next level. release of "Hyper MIDI Guitar". The Les Fradkin Video Widget Is Here! Ever heard and seen a Starr Labs Ztar? The Ultimate MIDI Guitar Curious? Be in the know and check out the Les Fradkin Video Collection! Featuring "Lift Off"- The Rock Television Winner of the Month! IMPOSSIBLE FAST ZTAR! 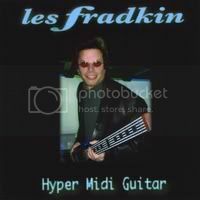 Les Fradkin, the virtuoso of MIDI Guitar, presents "Warp Drive" from his "One Link Between Them" CD featuring the revolutionary new instrument- The Starr Labs Ztar! Come have a look and listen to the MIDI Guitar sound of the future. This album has received wide acclaim in publications such as Keyboard Magazine and across the Internet. Les, who is classically trained, is moving at Hyper speed. In this video, he's playing the Starr Labs Ztar MIDI Guitar in a Tangerine Dream and Jean Michel Jarre meets Bach and Vivaldi influenced style on his own composition. The Ztar can be strummed with string triggers or tapped with one or both hands as seen in this video. The main lead sound is the Reason Thor and the Logic ES2. 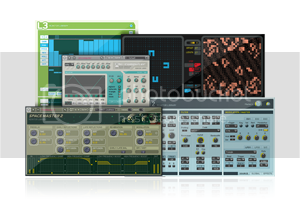 Background sounds are from Reason 4, GForce M-Tron, Roland XV-5080 and Arturia Soft Synths. The sounds at the intro are made with Propellerhead Reason. Take a Journey To The Stars! Les' new released CD which combines the sensibility of Baroque music with the drive of rock! 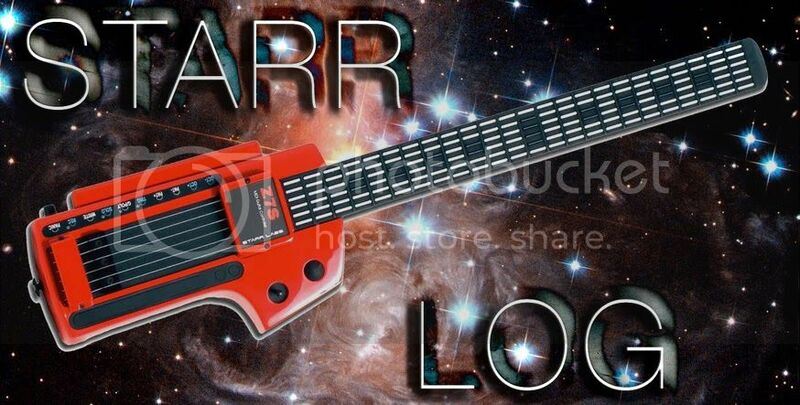 Harvey Starr, the inventor of the Starr Labs Ztar, offers a two part brief discussion of the basic features of the Ztar MIDI guitar controller. Covering the basic hardware and connections, the main software features and some of the basic modes of operation. 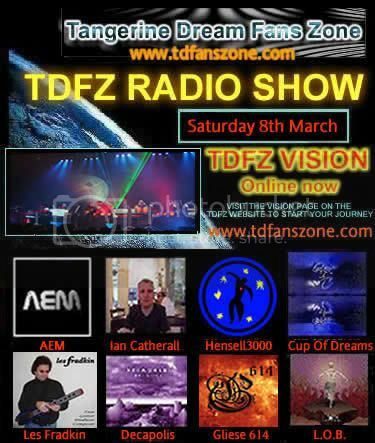 Les Fradkin on TDFZ Radio! For Beatles fans, I've just released a special limited edition 5 song EP called "The White Single." 5 instrumental versions of White Album songs: featuring my Starr Labs Ztar and my Fender "Rocky" Stratocaster. Les Fradkin, from the Original Cast of Beatlemania, presents "Orbiter" from his "One Link Between Them" CD. Come have a look and listen to the new MIDI Guitar sound of the future. This album has received wide acclaim in publications such as Keyboard Magazine and across the Internet. Les, who is classically trained, is moving at Hyper speed. In this video, he's playing the Starr Labs Ztar MIDI Guitar in a Jean Michel Jarre meets Robert Fripp influenced style on his own composition. The Ztar can be strummed with string triggers or tapped with one or both hands as seen in this video. The main lead sound is the Les Fradkin Lead Guitar Sample and the Logic ES2. Background sounds are from an M-Tron, Roland XV-5080 and Arturia Soft Synths. The sounds at the intro are made with The GForce M-Tron Pro and Propellerhead Reason. Take a Journey To The Stars! MIDI Guitar.... as you've never seen it before! Les Fradkin, from the Original Cast of Beatlemania, presents "Lift Off" from his "One Link Between Them" CD. This album has received wide acclaim in publications such as Keyboard Magazine and across the Internet. Les is moving at Hyper speed. In this video, he's playing the Starr Labs Ztar MIDI Guitar in a Neo Classical Shred meets Bach influenced style on his own composition. The Ztar can be strummed with string triggers or tapped with one or both hands as seen in this video. The main lead sound is the Arturia Moog Modular V. Background sounds and sound at the intro are made with Propellerhead Reason. MIDI Guitar.... as you've never seen it before! 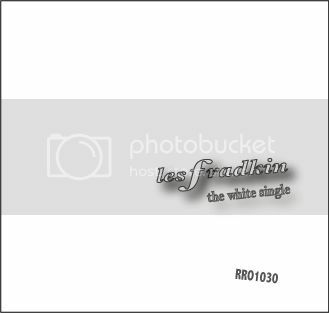 The Les Fradkin Tune Widget Is Here! MIDI Guitar like you've never heard it before! Like A Rolling Stone Tribute Book Out! Les Fradkin in Keyboard Magazine! Want to hear Les Fradkin? Click below! "One Link Between Them" Released! What happens when you combine elements of Progressive Rock, Space Rock, Electronic and Neo Classical? All controlled by the amazing and expressive sound of the Starr Labs Ztar? "ONE LINK BETWEEN THEM." How the album came to be: After recording and releasing several successful Guitar Synthesizer Instrumental CD's since 2005, featuring Guitar Pitch to MIDI Technology, Les felt the need to break through existing barriers he had experienced since the dawn of MIDI. Although he once owned and used a SynthAxe MIDI Controller, the company had long ceased doing business and there seemed to be very little to choose from in the way of advanced MIDI control that a virtuso guitarist could play in real time with reliable and predictable results with modern music technology. Always on the lookout for a MIDI Guitar that could track as fast as he could play, he discovered the Starr Labs Ztar in the Summer of 2007 which, unexpectedly, opened up a whole new Universe of performance and expressive possibilities for him as a composer, musician and guitar synthesist. As a result of acquiring this new instrument, Les has chosen to gravitate away from traditional guitar based pop music and his current work involves the music and dynamic of Electronic sound as realized from the performance control of the Ztar. Searching for a means that could transport the listener to new realms of experience, he found himself now able to single-handedly orchestrate entire new worlds of sonic tapestry in real time with perfect tracking which were never before possible from previous MIDI Guitar technology. An entirely new merging of mind, heart, and computer technology resulting in new music was now posssible. Using a blend of Rock, Electronic, Progressive and Neo Classical signposts, Les' new CD "One Link Between Them" opens up a new door to a sound which has thrilled music fans the world over. "ONE LINK BETWEEN THEM" Composition Notes: This CD was originally conceived as a conceptual trip thru the Solar System in the distant future when manned space travel will be commonplace. If you'd like to hear these songs as individual unrelated nuggets, great. If you're into linking things together to form a larger picture, here goes. 1. "Lift Off" (Composed by Les Fradkin): This super charged opening number begins with the sound of our astral traveler being "beamed" up to the space station to rendezvous with his spacecraft. Once on board, he's confronted with weightlessness which is suggested by the "wobbly" synth sounds which follow. Then, he fires the ignition and heads off into space at great velocity. 2. "Orbiter" (Composed by Les Fradkin): This one finds him orbiting the planet Venus as his first stop (guess it's just too hot on Mercury). The 5/8 time signature bridge section connotes the off axis orbit Venus has (it rotates clockwise). Mellotron Violins establish the opening chord. The piece begins and ends with a signature blipping sound of his spacecraft. 3. "From Venus With Love" (Composed by Les Fradkin & Loretta Fradkin): The Astral Traveler decides to land on Venus and investigate. Of course, it's way too hot there to really do this but this is science fiction. :-) Once there, he meets the race of Venusian women who great him with a progressive tribal chant. The sound is a woman's heartbeat mixed with Mellotrons and drum loops. The main theme, as played by the Ztar controlling Moog Modular and Mellotron MK II Violins is his expression of attraction to one of these women. The middle section-well, they get together. You know, "hook up." What else is there to do on Venus? At the end, he has to depart and the main theme restates with the woman in a very high soprano voice pleading with him not to leave. This piece closes with him blasting off and fading into the distance. 4. "Liberty" (Composed by Steve Vai): On his way to Mars, the Astral Traveler has to pass by the Earth. "Liberty" was chosen to celebrate the multi nationalism present on our planet. And to remind us that freedom is too precious to lose. "Liberty" features the Ztar a shred guitar voice for this tune. 5. "Caravan" (Composed by D. Ellington, J.Ticol, I.Mills): "Caravan" has been covered many times by many artists but never quite like this! Taking this Jazz chestnut into outer space, the Middle Eastern feel (Mellotron MKII Violins) merges with a space rock backing to evoke the red planet. 6. "Warp Drive" (Composed by Les Fradkin): To speed past the asteroids and reach Jupiter safely, our astral traveler has to engage Warp Drive speed. After firing the command to do so, the computer on board says- :"We'll take you." This composition fires on all cylinders at Warp Drive. Thor Polysonic Synthesizer, Mellotron MKII and Moog Modular Synthesizers all triggered by the Ztar, combine to give this track great speed and expressiveness. 7. "Sailing All Alone" (Composed by Les Fradkin): Saturn looms ahead as our astral traveler's thoughts look back to the woman he's left behind. Very melancholic and evocative of King Crimson from "In The Court Of The Crimson King." The opening theme is stated on a Moog Modular Synthesizer. The main theme is played with a theremin-like sound from the Logic ES-2. Various Mellotrons (MKII Violins, M300 Violins, M400 Cello) evoke an icy atmosphere. At the conclusion, his memories of her meld together with the image of her face in the spaceship window. The high soprano human voice at the end is courtesy of Tara Coker-Lewis. 8. "Longing To Return" (Composed by Les Fradkin): By the time our hero is out past the orbit of Uranus, he's feeling quite alone. This beautiful piece is meant to connote those complex feelings way out in space where you arte utterly alone. The Ztar allowed Les to perform the orchestration is one take as a live overdub totally tapped on the Ztar fingerboard. 9. "A Dim Twilight" (Composed by Les Fradkin & Loretta Fradkin) : As the Astral Traveler salils past Neptune and out to the Kuiper Belt towards Pluto, Eris, Quonar and Sedna, out astral hero decides it's time to make the long journey home. The various phases of this composition connote those points passed and the trip back towards Earth. Opens with Mellotron Flute and Oboe over an exotic electronic backing. This version is different from the version on the Telstar single. This track is over 7 minutes long and the 2 minute preview clip here only offers a brief glimpse to what's in store. 10. "Telstar" (Composed by Joe Meek): What better way to achieve Earth re-entry than with the original Earth/Outer Space anthem. Features the Ztar triggering a glorious sample of a Clavioline which was the lead sound of the original recording. For Immediate Release: RRO Entertainment, an Indie leader in Digital Download Music Sales across the Internet, announces today that, as of March 1, 2008, RRO Entertainment will no longer manufacture it's music catalog in Compact Disc physical format. All physical Compact Disc inventory will be sold out of remaining stock from CD Baby and Amazon.com. All RRO titles will remain available as Digital Downloads 24/7 at fine stores everywhere worldwide. Always in stock. Always available! Les Fradkin, CEO of RRO Entertainment,said today: "In this challenging new era of global consciousness with our rapidly changing environment, RRO believes it is time to make our small contribution to saving Planet Earth from further plastic and paper waste." Les will make appearances at this January's NAMM Show in Anaheim, California. He'll be demonstrating the Starr Labs Ztar Z7S at the Starr Labs Booth 2764 Hall D at 1 PM on January 17, 18, & 19th. Come out, if you're at the show and see the potential of this incredible instrument in the hands of Les. Les has a brand new CD which is about to be released. Entitled "Guitar Revolution", it's 11 Beatles guitar instrumentals- a worthy follow up to "Pepper Front To Back" and "While My Guitar Only Plays." From Classic Rock sounds to neo-classic surf guitar textures and Ztar MIDI guitar innovations,"Guitar Revolution" delivers! Tracks: 1. Revolution (45 Version) 2. Jet 3. Live And Let Die 4. Within You Without You (Surf Version) 5. I'll Be Back (Surf Version) 6. Free As A Bird 7. Ever Present Past 8. Dance Tonight 9. I Am The Walrus 10. Imagine 11. Rockestra Theme Available Now! Les Fradkin has collaborated with Director Charlemagne Fezza to bring you a Sim/Cartoon video of his composition "I Could Make It Last Forever" which features Mike Brown, Tom Finn, Steve Martin Caro and George Cameron of The Left Banke. Les Fradkin Video on You Tube! Les' brand new CD is entitled "12". It's his 12th solo CD and he takes the Rickenbacker 12 string and his voice on new journeys-Jangle Pop with his covers of "Mr. Tambourine Man " and "Four Strong Winds", folk rock meets Tom Petty stylings on "A Hard Rain's A Gonna Fall", Psychedelic folk rock with his electric version of "I Know You Rider" and several originals including the lyrically rich "Down On My Luck" and his new definitive anti war rallying cry "Lay Down Your Arms." Guest musicians on "12" include: Warren Odze-Drums (Judy Collins) Paul Harris- Keyboards (Manassas, Souther Hillman Furay, John Sebastian, Al Kooper, Roger McGuinn) Buddy Cage- Pedal Steel Guitar (New Riders, Great Speckled Bird, Bob Dylan) Dave Santos- Bass (Crosby Stills & Nash, Billy Joel) John Ford- Bass, Vocals (Strawbs, Hudson & Ford) Greg Witchel-Harmonica (One Too Many) These great musicians appear on "I Know You Rider", "The Ballad Of Belle Starr", "Down On My Luck" , "A Hard Rain's A Gonna Fall" and "Lay Down Your Arms." John Ford & Buddy Cage appear on "Lay Down Your Arms." Available soon as a CD and at download outlets everrywhere. #1 at "Breakfast With The Beatles"
Les at Forefront of Beatles Download Market! 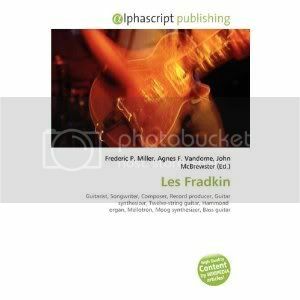 These days, when folks go on Apple iTunes, Rhapsody, Napster, Music Now and other great download sites to get music by The Beatles, they think of Les Fradkin. With over 280,000 internet downloads and thousands more each month, Les is in the forefront on the Beatles download front. With several Beatles oriented releases to his credit, including "Something for George", "Love You 2", and his two guitar instrumental classics-"While My Guitar Only Plays" and "Pepper Front To Back", when people want to hear Beatles in their iPod, they think of Les Fradkin. Pepper Front To Back World Premiere on 99.5 The Mountain! Under The Covers- An Amazaon.com HIT! "Under The Covers", Les Fradkin's newest release, has been named one of the Amazon.com top 15 hot new releases and a Best of 2006. "Christmas Vacation" is an iTunes Hit! 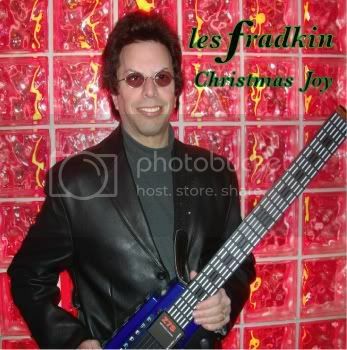 Les' new CD "Spirit Of Christmas" has spawned a new hit single at iTunes AND Rhapsody: "Christmas Vacation." Perfect for that mental getaway while you wait for your favorite holiday. FEATURES THE iTUNES HIT: "Hello Christmas, Goodbye Year" Every year, so many people say they wish they could hear sone brand new Christmas songs. Well, here they are.... and as a bonus, you'll get new covers of George Harrison's "Ding Dong, Ding Dong", John Lennon's "Happy Xmas (War Is Over)" and Roy Wood and Wizzard's "I Wish It Could Be Christmas Everyday." Les' Rickenbacker 12-String Guitar jangles and chimes throughout this holiday disc. Les' new songs for Christmas include some done in a Byrds meets Phil Spector style ("Say You Love Me For Christmas", "Jangle Bells", "Hello Christmas, Goodbye Year"), a Byrds meets Roy Orbison styled "The Spirit Of Christmas", an Edison Lighthouse and White Plains British Pop styled "My Baby Loves Christmas", a Jangleholic meets Jimmy Buffett exploration on "Christmas Vacation", the Les Fradkin and Raven Kane collaboration and Procol Harum influenced "A Christmas Gone Too Soon" and the song Les and collaborator Diana Haig originally wrote for The Drifters- "There Won't Be Christmas This Year....an anthem for the men and women in the Armed Forces of the USA. For those people who love "A Christmas Gift for You from Phil Spector" and Rickenbacker jangle, here's Something new for Christmas! Quite a premier for the opening night of "Accidental Icon:The Real Gidget Story." Met Jorjia Fox (CSI)! Movie was wonderful and was especially elated at the great use of the music throughout the film. It's out! Les Fradkin's newest CD-"If Your Memory Serves You Well" is a tribute to Bob Dylan and is now available at CD Baby, Amazon.com and other fine music stores across the Internet. It's "Jangle Pop" for Modern Times. With times changin at today's speeds, Bob Dylan fans can now hear something new from Les Fradkin, who has found great success with "Single" download sales across the Internet. In this new Jangle Pop 2006 release, the "Jangleholic" and his trusty Rickenbacker 12-String guitar are at it again! Les takes more than just a common tribute approach and reveals a unique perspective in the diverse influences that form the basis of a new sound for Bob Dylan's music. Byrds, Beatles, George Harrison, The Hollies, Phil Spector, Manfred Mann, Tom Petty and Dylan all blend together for a distinct journey through the Bob Dylan catalog. "This Wheels On Fire", "The Times They Are-A-Changin" will impress Byrds fans and Les' reading of "One Of Must Know" is a must hear as it takes Dylan into new sonic territory. Tom Petty fans will delight to his approach on "Absolutely Sweet Marie" and his fresh take on "Just Like A Woman" will suprise even those overly familiar with this Dylan hit. This release is pressed on special edition PURPLE Colored CD's which reflect luminous violet in bright light. "Goin' Back", "Jangleholic" and "Love You 2" at iTunes! Les' two new CD's- "Goin' Back" featuring guest appearances from Richie Furay, The Left Banke and Mick Ronson (guitarist for Bob Dylan's Rolling Thunder Review),"Jangleholic" featuring "You Were On My Mind" and "Love You 2" (a brand new George Harrison tribute) are now all available for download at Apple iTunes. So get your iPod's ready cause several songs from these releases are essential adds to your download collection. See the Products page for diect links to these downloads. Les' music can be downloaded at over 50 sites across the Internet. Check out the Products page for direct links! Take a new trip with the Jangle Pop release you'll want as a must have for 2006. This all new CD features Les' renowned Rickenbacker 12-String Guitar stylings with some special surprises! On this CD, he offers a selection of great Jangle covers from songs that influenced him as a 12-string guitarist: "I Want You" ( Bob Dylan ), "You Were On My Mind" ( by The We Five ), "I'll Never Find Another You" ( by The Seekers ) and TWO Paul Simon songs from the Simon & Garfunkel Songbook- "A Hazy Shade Of Winter" and his electrfying cover of "The Dangling Conversation." Les' original compositions on this CD range from brand new tunes such as "Arrow Thru Your Heart" to gems from his past such as "Still On My Way" (co-written with Raven Kane of Neil Diamond touring fame) and "Sometimes A Girl Must Carry On" which dates back all the way to his 1971 unreleased MGM/Sunflower album. The title track, "Jangleholic" gives the listener a humorous account of Les' history with both the 12-string guitar and his days in Beatlemania. This release is pressed on special edition GOLD Colored CD's which reflect lemon yellow in bright light. Out Now! New for 2006! Les' newest George Harrison tribute CD entitled "Love You 2" featuring all of George Harrison's Beatles hits from 1962 through 1966. This landmark CD which will also be available for download wordwide, includes a brand new arrangement of "You Know What To Do" (a song which was featured by The Beatles only as a George demo on their "Anthology, Volume 1" as well as well known hits such as "Taxman", "If I Needed Someone", "Do You Want To Know A Secret", "I'm Happy Just To Dance With You" plus new vocal versions of "Taxman", "I Need You", "If I Needed Someone" and "Think For Yourself." New for 2006, Les has released "Goin' Back" which covers Les' Rickenbacker 12 string guitar stylings in Pop and Rock. Beatles, Byrds, Dylan and Jangle music fans will love the sound of this release. "Goin' Back" features many famous hits as well as originals that cover the history and importance of the 12-string both in music and Les' career. This CD includes guest appearances by: Richie Furay (Buffalo Springfield, Poco) on Richie's brand new song "Only To You" in a vocal and instrumental duest with Les! Mike Brown, Tom Finn, Steve Martin & George Cameron (The Left Banke) on Les' song "I Could Make It Last Forever"- a historic session from 1972 remixed for today. Mick Ronson ( former member of Bob Dylan's Rolling Thunder Review, David Bowie's Spiders from Mars and The Ian Hunter Band ) on "Spare Change", a historic track from 1980 Covers include: "Goin' Back", "So You Want To Be A Rock and Roll Star", "Have I The Right? ","I Can't Let Go", "When You Walk In The Room" ,"Walk Away Renee" plus Les' brand new Byrds-like cover of the seldom heard Bob Dylan song "I Don't Want To Do It." This track introduces a new sound for covering Bob Dylan's material which should thrill all Dylan and Byrds fans alike. Available Now!